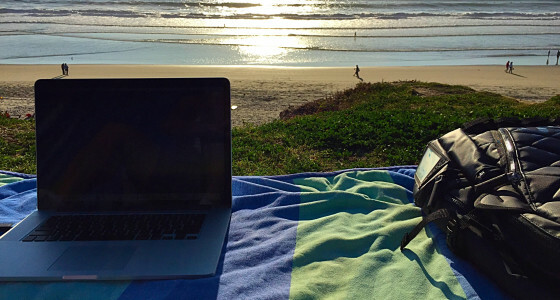 Lifestyle entrepreneurs shun the nine-to-five office life in favour of flexible, web-based working that lets them pursue their passions and work where they want. It may sound too good to be true, but it’s becoming an increasingly popular way of earning money. From freelancers who have multiple specialisms to people running successful blogs and start-ups, lifestyle entrepreneurs are tapping away at their laptops while sipping their flat whites at a café near you right now. If your office day now looks dull in comparison, here are our top tips for becoming a lifestyle entrepreneur. If freedom, flexibility and variety are high priorities for you then lifestyle entrepreneurship could be a great move. But if you’re concerned about a secure income that increases at regular intervals and a clear career progression path, then it’s probably not such a smart idea. Entrepreneurship is exciting but isn’t necessarily the easy option: you may find yourself working more hours to pay the bills. The whole idea of lifestyle entrepreneurship is that you can create a career that fits your life rather than trying to fit your life around your work. The first step is therefore to figure out what kind of lifestyle you actually want: where do you want to be, how much money do you want to earn, and how many hours would you like to spend on work? If you’ve decided that it’s definitely for you, the next step is to decide what kind of business you’re going to build. Begin by writing down the skills you have and the things you’re passionate about and then brainstorm how you could make a living from them. You may want to launch a single web-based business or sell yourself as a freelancer in several different areas. Next you need to think through who your clients or customers are going to be. Importantly, you need to know whether your target audience has the money and inclination to fork out for what you’re offering. Check out your competition, speak to your friends and family, and do as much research as you can online and on social media. You may not be launching a conventional business, but it’s still a good idea to get things down on paper. When you put together a business plan make sure you think through how much money you’re expecting to earn and where and how you’re going to sell your work. Your website will be your shop front, so make it as simple, user-friendly and easy to navigate as possible. It’s usually not necessary to spend ages on beautiful design at the beginning. Concentrate instead on displaying clear contact information, your areas of expertise, and examples of your work. Make sure you have a presence on social media and that you’re posting regularly and actively engaging with people who are relevant to your business. Work on building a good email list. If you don’t know all that much about social media, email marketing or SEO, then this is the time to become an expert. If you’re inclined to neglect your blog or your Twitter account for days (or even weeks) at a time then be strict with yourself by drawing up a calendar, setting reminders, and putting aside dedicated time each day. Create useful, interesting free content on your site, and build relationships with other websites so that you can write guest posts for them and increase traffic to your site. Spread the word that you’re launching your business, using social media and your email list and networks. You could consider spending some money on paid advertising, for example Google AdWords or Facebook ads. The work of a lifestyle entrepreneur is never done. You need to keep a close eye on how things are going, keep testing your strategies, and make changes if necessary. Don’t be precious about aspects of your business, but be prepared to ditch things if they’re not working and always be ready to change direction. So what are you waiting for? Grab your flat white and your laptop and get started!